You'll be £6.80 closer to your next £10.00 credit when you purchase Flight Craft 15: The Supermarine Spitfire. What's this? The story of the Supermarine Spitfire has been told across many years and the debate about it is enduring, yet the Spitfire remains a true icon. For aviation enthusiasts, for historians, for modellers, the word Spitfire conjures many stories and affections. This book presents the Spitfire enthusiast with an up-to-date history of the Spitfire – not just in its design and application in war, but also as a flying memorial and as an aero modellers’ vital focus. The text examines recently revealed forgotten aspects of the Spitfire story; by combining the elements of design, the story of a weapon of war and a revered scale model, this book frames an essential chapter in aviation history. 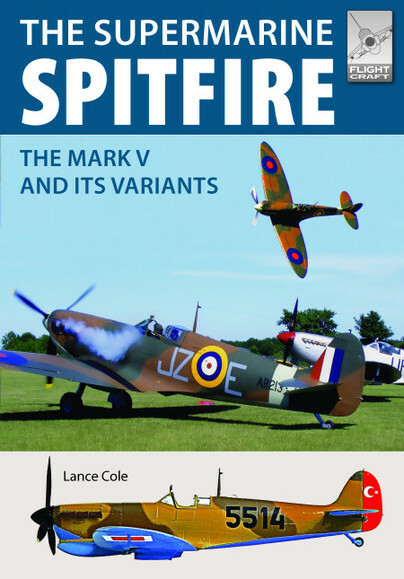 Packed with original and contemporary images and information, and displaying unique Spitfire model collections, the narrative bridges an important gap and is a worthy addition to the Flight Craft series. A perfectly structured format in which we will find historical documentation, photographic documentation , illustrated documentation and documentation for modeling, all with independent categories but complemented with each other. The text is concise and reasonably informative, and photo reproduction is good, with the featured Spitfires generally being service examples rather than warbirds. Well written and informative, a rewarding read. Text is complimented by an excellent selection of photographs, most of which I have never seen before. The colour profiles I also like as they are not the flat digital images that seem to be the norm nowadays. Overall an excellent book and extremely good value, just buy it I doubt very much you will be dissapointed.